Are small organic compounds which help control the growth and development of plants. As with animal hormones they are synthesised in one place & take effect in another, often in tiny concentrations. Encourages seed dormancy by inhibiting cell growth. When a plant is stressed & wilting it it will close stomata (like small portholes under the leaf) to reduce water loss & will also trigger increased water and ion uptake by roots. As well as moving within the leaf it can be transferred to the leaf from the roots by the transpiration stream. The abilities of the plant to respond to variables such as light, gravity & moisture are tropisms controlled by auxins. Growing tips response to gravity & light so the plant will grow upwards & towards light & the roots tips down & away from light. For example Indole Acetic Acid (IA) moves to the darker side of the plant signalling cells there to grow larger so curving the stem towards the light. Auxins are also released by the main growing tip which inhibit the lateral buds found at nodes where the leaves join the stems. 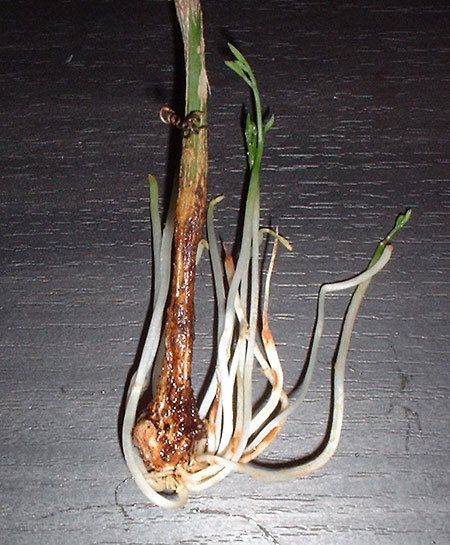 If this is cut off then these lateral buds turn into active growing tips & the plant bushes out. There are over 60 of these. Their effects include stem elongation, ethylene synthesis & root growth inhibition. This is the only gaseous hormone. Usually it inhibits vegetative growth (reducing leaf area in drought conditions) & accelerates fruit ripening & dropping (abscission). It initiates seed germination & can inhibit or induce flowering. It is released by ripe fruit & is used commercially to speed the ripening of fruit that has been picked too early. Produced in the stem rather than the growing tip, they promote seed germination & stem elongation & help regulate flowering & fruit setting. First isolated from the Jasmine. Jasmonic acid is synthesised by the plant from linolenic acid & the methyl ester of Jasmonate is used in the perfume industry. They promote tendril coiling (vital in Passiflora) pigment formation, tuber formation, senescence, fruit ripening & abscission & may have a role in plant defence. They also inhibit germination & growth. These have a wide range of effects & are distributed throughout the plant being widespread in all cells.They are thought to be essential for growth & cell division as low levels affects development. They are better described as growth regulating compounds than hormones. Aspirin, salicylic acid, was originally extracted from willow bark. Salicylates are now recognised as a growth regulator. They are thought to promote disease resistance & increase flower life & to inhibit seed germination & ethylene synthesis. They may also block the wound respose & act antagonistically to abscisic acid.